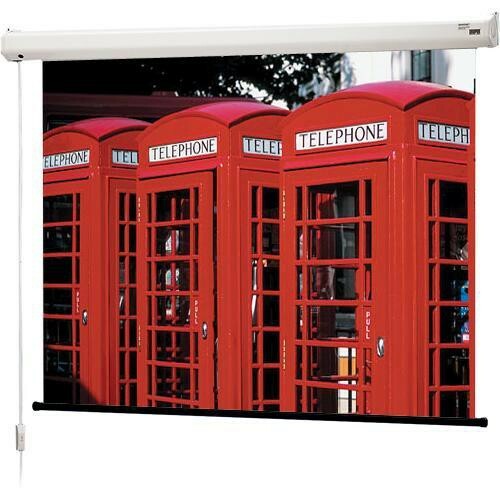 The Draper Baronet 48x80" Motorized Front Projection Screen is a cost-effective screen that is easy to install. No advanced technical knowledge is required to get this screen up and running. For those who neither can afford nor desire a hard-wired motorized screen, the Baronet is the answer. This plug 'n play screen comes with a 10' cord that is easily plugged in. The in-line 3-position switch controls everything. The Baronet's pentagonal-shaped steel case has a scratch-resistant white polyester finish. Box Dimensions (LxWxH) 101.0 x 5.0 x 5.0"